Easy Profile is a powerful profiler extension, it extends Joomla user profile management by adding custom fields and many other features. Profiled your users by creating custom fields. You can choose to create the following types of fields: text, textarea/editor, image, select (dropdown), radio, checkbox, email, date (calendar), number, phone, GoogleMaps (Pro version only), hidden, link, HTML delimiter, file. 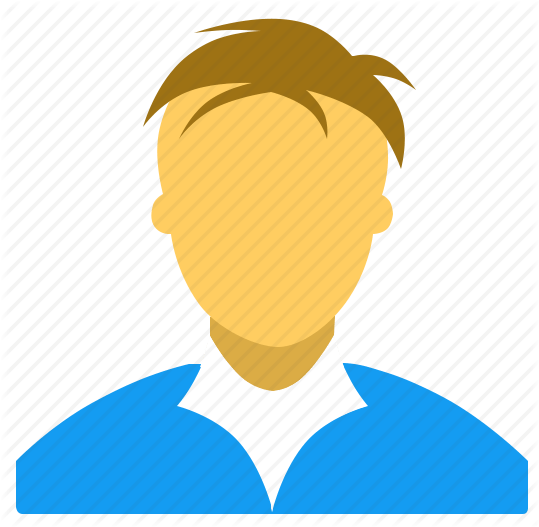 Easy Profile allows users to configure their own avatar. 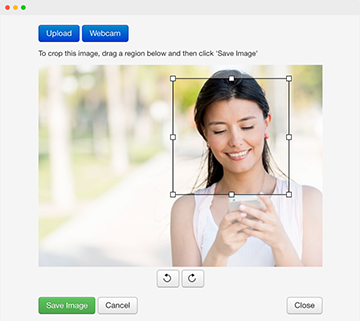 We have developed a Crop and Webcam function,with this you can retrieve your avatar from webcam and crop image. 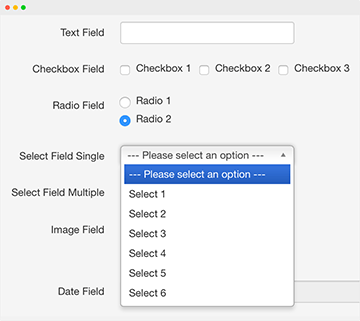 You can set conditions for each field to hide or show other custom fields. You can also set Joomla user groups for each conditions. 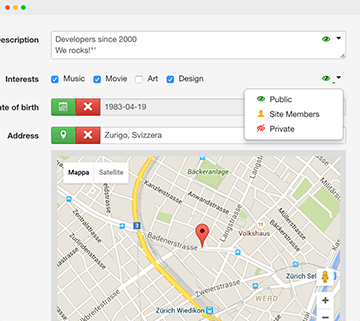 You can show your users in a Map,in any module positions. You can restrict results with SQL CUSTOM WHERE or by coordinates. Also Map Module can show only users available into User List page or found after search. Integrate your website with the top 4 online social networking platforms. Easy Profile currently allowing you to login or link account withFacebook, Twitter, Google and LinkedIn. Create different listings to show specific users, also you can search users using the custom search form. 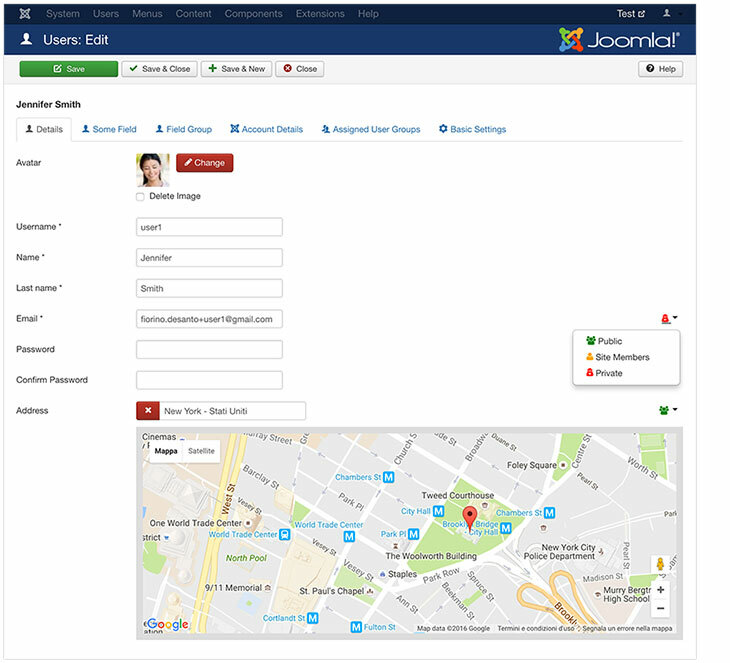 One of the limitations of Joomla is the name of the user,it uses a single field to profile the user name. With Easy Profile you can outline the name you want (first name, middle nameand surname). You can set the layout for registration and editing the profile by breaking it down into tabs. In this way,each group of fields will be presented in a tab. With Content Plugin you can insert any user custom field into article,or in any position where Joomla contents plugins are triggered. The field labels,descriptions,field options and everything else included are translated from native multilingual system of Joomla. With the Author Plugin you can insert a link to profile to each article. You can see user articles on Profile Page with our Joomla Articles tab plugin. If user is linked to contact you will see a direct link to contact page on User Profile Page. 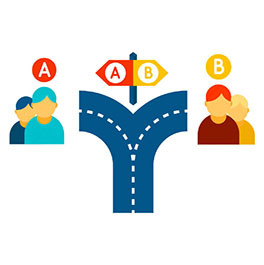 Now we have ready integrations with Acymailing, UddeIM, Kunena,EasyDiscuss, EasyBlog, Komento, Joomgallery,JReviews....and many more on the way!! Create your Social Network in 5 minutes! 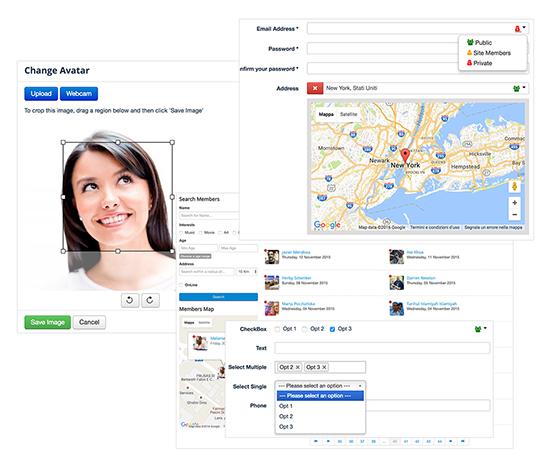 This plugin allows you to turn Easy Profile into a Social Network. Newsfeed, Friendship System, Suggestions, Cover Image, Private Message, Notification Center Like/Dislike, Groups, Video Sharing, Photos & Albums, Events, Blog and Discussions. Choose your suitable plan & gain access to amazing Easy Profile extension!! Q. Can I use Easy Profile after expire subscription? A. Yes you can use for life time. Q. What happens at the end of the subscription? A. You can continue to use Easy Profile but you can't download updates. We do not support Pro/Basic packages if you have not active subscription. Q. How do I upgrade from Basic to Pro? A. You can simply buy Pro subscription, the unused amount of the basic subscription will be discounted.